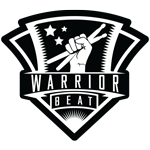 Warrior Beat is a veteran owned 501c3 charity that focuses on drumming as a means to treat the symptoms of PTS and Anxiety. We got started on our mission in 2015 and we’ve been moving full speed ahead ever since. Today Warrior Beat operates its own Wellness Center in downtown Canton, Ohio as well as several other drum circles in the north east Ohio area. In addition to hosting in-house services, the Warrrior Beat Wellness Center also serves as the digital hub for our streaming service which allows us to share the benefits of drumming to any veteran anywhere in the world. Every dollar donated to Warrior Beat goes straight to the services we offer to our vets. More specifically, money is spent on drums for veterans, gas money to get shuttle our equipment to and from veteran drumming events, equipment and internet access for our live stream and rent and utilize that keep the doors open at the wellness center. We are proud of the fact that we’ve gotten this far as a team who has worked on a purely volunteer basis – we believe in what we do and we want our donors to see the results. We have already reached and worked with thousands of veterans in the northeast Ohio area and we’re pushing to grow as fast as we can so we can service every vet in need. Our long term goal is to grow our online community, reaching tens of thousands of veterans across the globe, through our live, interactive streams. As we grow, we will expand the range of arts we offer to our vet community beyond drumming. The Wellness center will grow into a tech-hub for vets who want to learn technology as a vocation as well as a form of expression.